Is there a deeper meaning in our life than the simple day-to-day routine? What if I told you that there is a new way of living, with a deep self-awareness, where the symbolic language guides us and communicates with us through dreams, signs and coincidences? 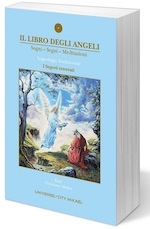 During this fascinating conference, presented by four international speakers from the same family, you will discover how to activate within yourself the 72 Angels of Traditional and Kabbalah Angelology, a way of life in which the ancient tradition is integrated into today's modern world. during the Conferences and Workshops. KAYA is a professor, author, international lecturer and one of the most advanced specialists on dreams, signs and symbols in the world.